I was rearranging the second freezer and saw we had some Wild Caught Haddock Fillets which were ideal for a Fish & Chips night. Pulled out my favorite 1/8 size sheet pans and some twice cooked fries along with a homemade coleslaw was just the right combination. This was my first time making a traditional Fish & Chips - it was easier and far tastier than even our favorite take out (or takeaway if you are from across the 'pond'). 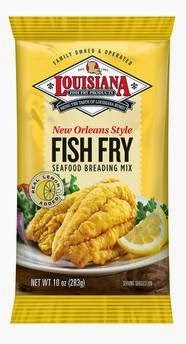 I used Wild Caught Haddock fillets and New Orleans Style Fish Fry with Lemon mix which is much lighter than traditional batter. Cole Slaw is red and green cabbage, about a cup of each shredded finely, one carrot (I took a chunk of my knuckle off because I got distracted by one of the dogs), scallions, dill and coleslaw dressing. 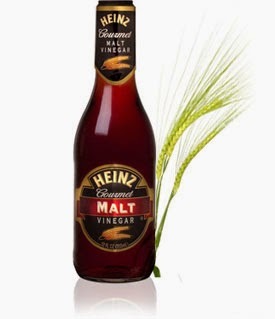 Everything came together with a dash of Malt Vinegar on the chips and left everyone satisfied. Weeknight meals don't have to be boring. You are welcome to feast with us, I always make extra!